Antler lighting adds natural elegance to any rustic themed dining area. This beautiful whitetail deer antler chandelier is handmade and comprised of 12 medium antlers and 6 lights. 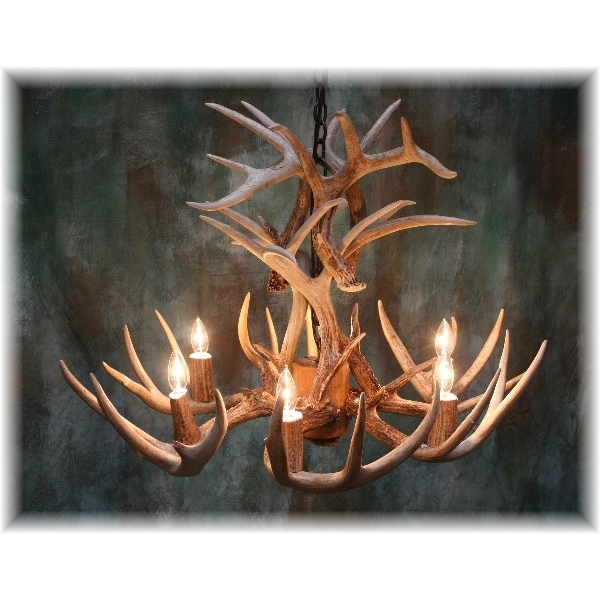 This cascading antler chandelier will provide plenty of light and style to your cabin or lodge.